Suppose I could have a fly with the profile and fish catching abilities of a Letort hopper, but the buoyancy of a Chernobyl Ant? If such a fly exists, I would likely fish it every day all season long. It would only get removed when fish tuned in to specific insects or I needed to fish deep. In one of my fishing magazines I spotted the Charlie Boy Hopper, created by local Denver fly designer, Charlie Craven. I love the fly shop owned by Charlie in Old Arvada called Charlie’s Fly Box. 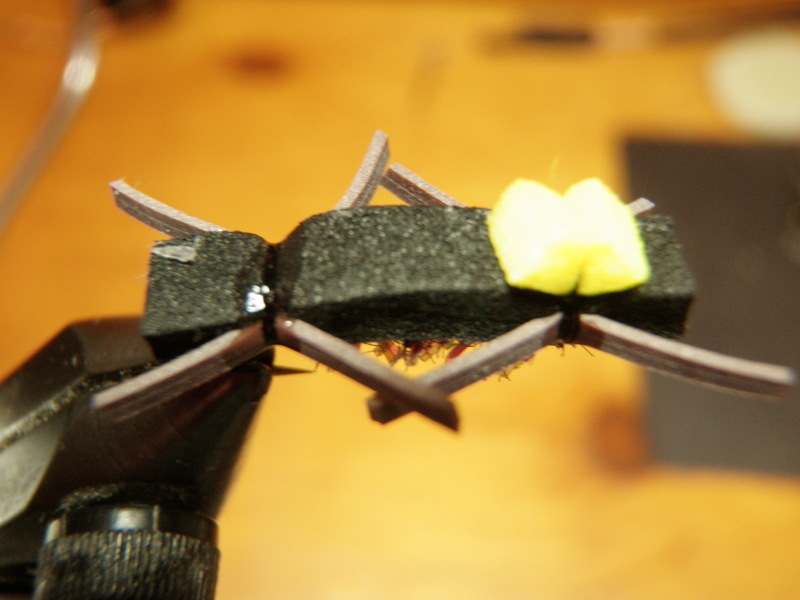 I checked out Charlie’s web site and printed off the tying steps for making Charlie Boy Hoppers and planned to create some of my own during the winter of 2010. Unfortunately, by the time I refilled all my proven inventory, I ran out of time. However, 2011 is a new year, and I prioritized making Charlie Boy Hoppers for the coming season. I had everything required to make these flies except Zap-A-Gap and a sharp razor blade, so I visited a fly shop and picked up these necessities. 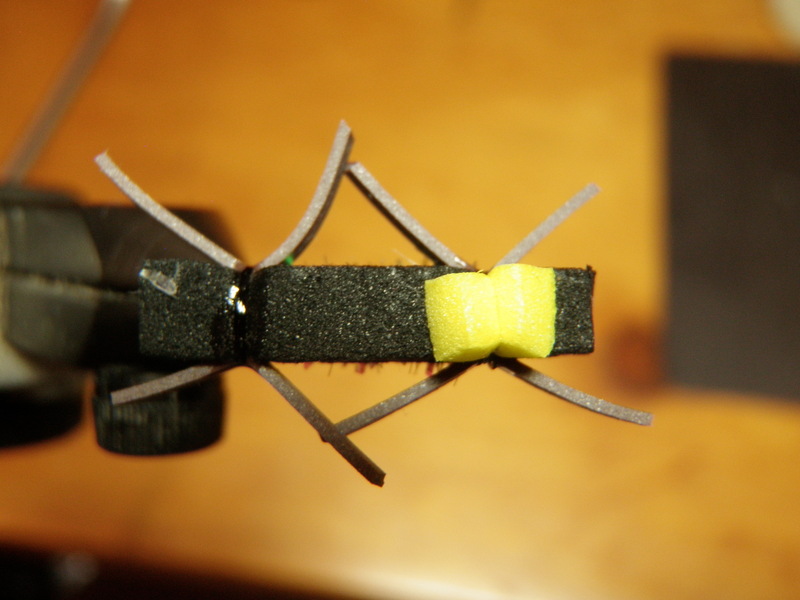 The tying instructions were quite voluminous, but once I’d done my prototype, I discovered they are fairly easy to tie. I was so optimistic that this fly will be a winner, that I made 15-20 of them in different sizes and color combinations. I tied 5 tan and 5 yellow in size 10, and then 3 bright green in size 10. I then added 3 tan and 3 yellow in size 12. 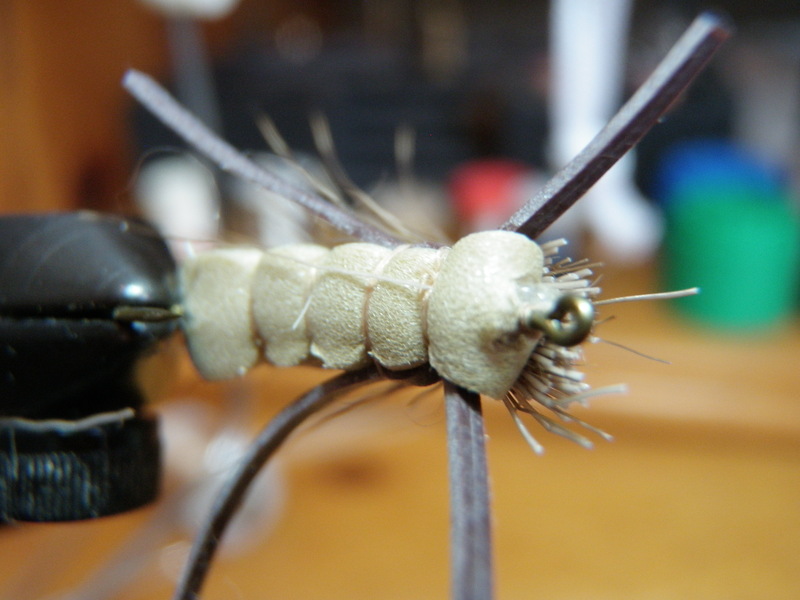 I’m quite anxious to test these flies on the streams in 2011. The foam bend back style should really provide a lot of buoyancy, yet I feel like the profile is close to that obtained with the Letort hopper. If these work as expected, I’ll have no problem floating two medium size beadheads through delicious pockets and runs. I was introduced to the Chernobyl Ant on the Green River below Flaming Gorge Reservoir ten years ago by my guide, Mark. We drifted all the sections of the river, and the most productive fly was the large Chernobyl Ant. Mark had me cast the large buggy ant near the bank and ahead of the drift boat. He was expert at maintaining the speed of the boat and instructing me on when and how to mend so that we held long drag free drifts in all the attractive eddies and currents along the bank. I experienced some of the best fishing ever during these couple of fall days on the Green River. I asked Mark if he thought the Chernobyl Ant would work in other streams in Colorado, and he guaranteed it would. 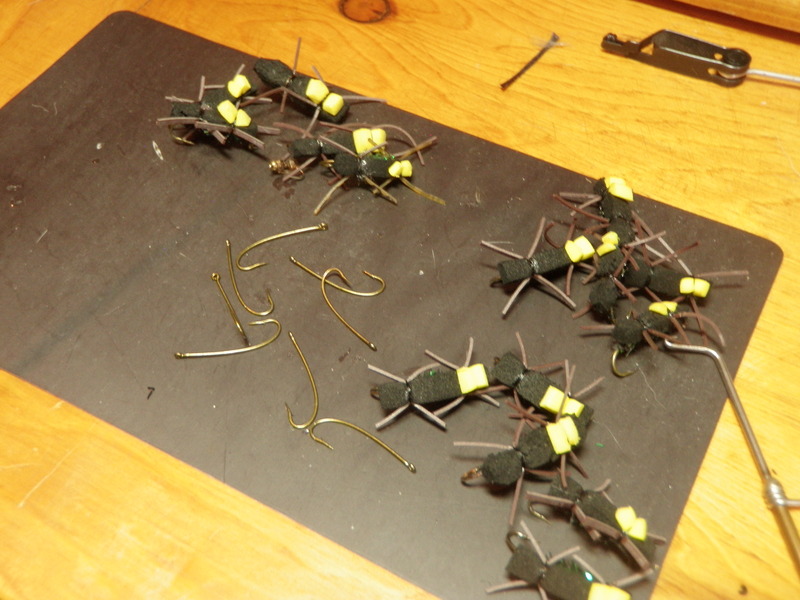 I began tying a few Chernobyl Ants to experiment with during my Colorado outings. Typically I used it as a top indicator fly due to the buoyancy of the foam body. 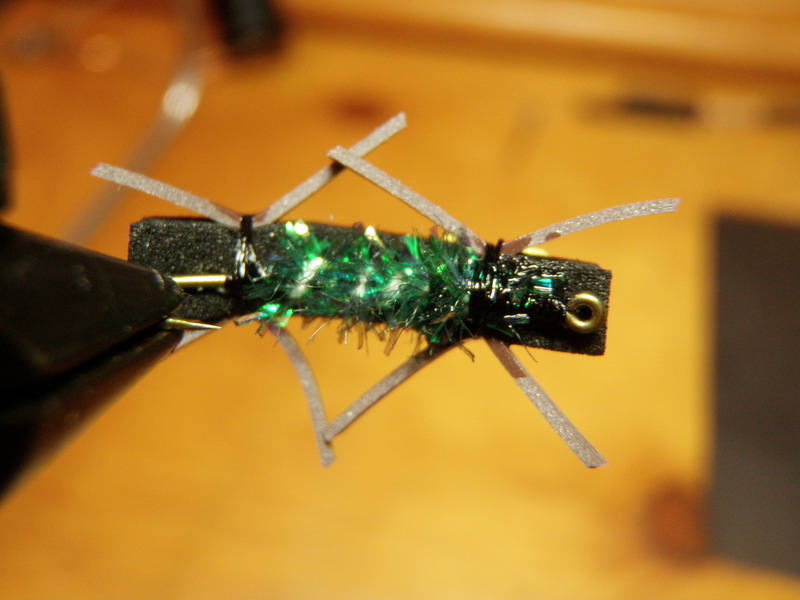 During late summer when fish would refuse my Letort hopper, I’d substitute the Chernobyl Ant hoping that the fish would grab the trailing nymph and not pay attention to the top fly. Guess what? I discovered that the fish loved the Chernobyl Ant and rose to smash it as frequently as they nabbed the trailing nymph. 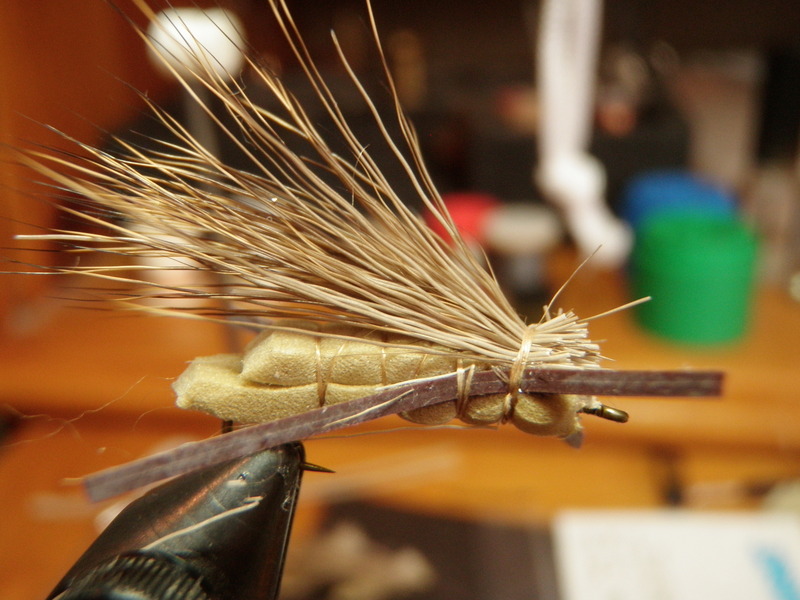 The only change I make to tying this fly compared to store bought versions is the addition of a peacock metallic chenille on the underside of the foam. My guide, Mark, featured this attractor quality, and I adopted it. I’ve also experimented with brown legs and fancier striped rubber legs, but the brown seems to perform as well as any. The first thing to get damaged from usage is loss of legs or appendages. After a Chernobyl loses two or more legs, I generally set it aside, and then in the winter I rehabilitate with limb replacements. I’m not sure what a Chernobyl Ant imitates, but the fish, especially bank hugging browns, seem to like it. Possibly it imitates large terrestrials that get blown into the water from time to time. It certainly looks buggy with its large black body, peacock chenille underbody, and dangling rubber legs. The yellow foam section on top of the fly is purely for the fisherman, and this fisherman loves its visibility. This past summer I probably used the Chernobyl Ant more than any other season. 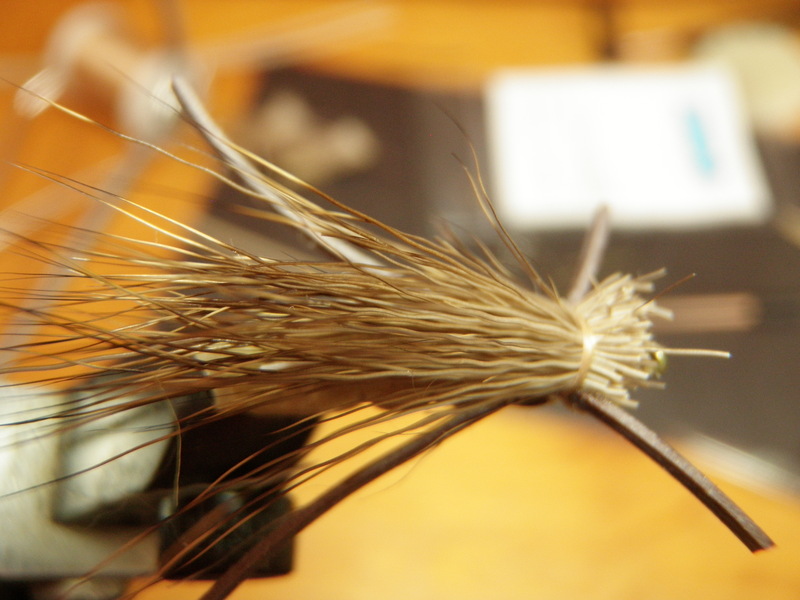 In fact, I tied the Chernobyl to my line as the top fly first on many occasions where I’d previously opted for a hopper. The combination of fish catching ability, visibility, and buoyancy are difficult to surpass. My favorite application is on small headwater streams with dense vegetation reaching out to the casting area. When there isn’t enough space to execute repetitive backcasts to dry a traditional dry fly, I dig into my fly pocket for a Chernobyl Ant. This fly can simply be roll cast or dapped in tight quarters with no drying required. It works like a charm. Another benefit on small streams is that the fish that are too small, can’t get the large hook in their mouths and fall off, so I only tend to land fish worthy of counting. During the summer of 2010 my best Chernobyl days were probably on Chalk Creek, Fooses Creek, North Fork of the St. Vrain, and Clear Creek. These streams are all small in scale and the ease of fishing the Chernobyl Ant created hours of fun. My son, Dan, and I hiked into the North Fork of St. Vrain Canyon from Meeker Park on a very hot September day, and caught numerous brown trout on the Chernobyl Ant. Dan is a believer in Chernobyl fishing!